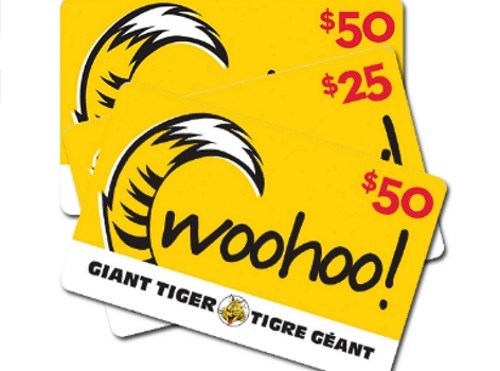 Enter to win up to $1000 in Giant Tiger gift cards in the Giant Tiger Back At It Contest! There are 5 prizes of $1000 gift card, $500 gift card and $250 gift card. Contest closes September 6, 2016. To enter just sign up at the link below.